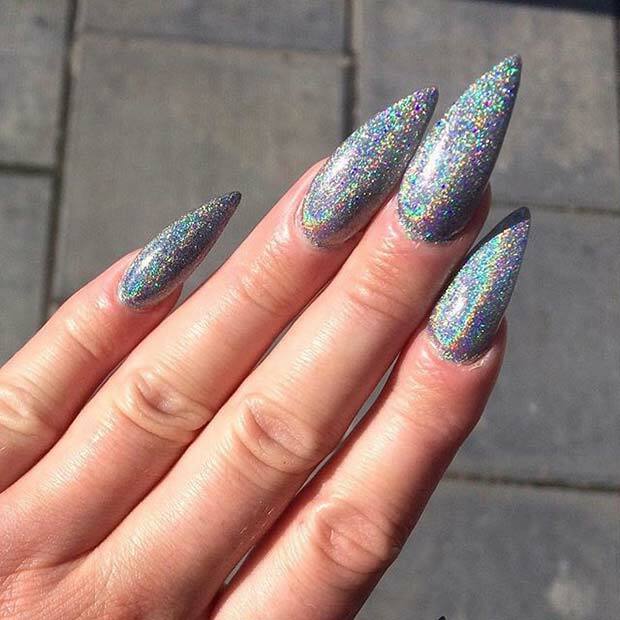 Our first set of pointy nails have been inspired by unicorns. 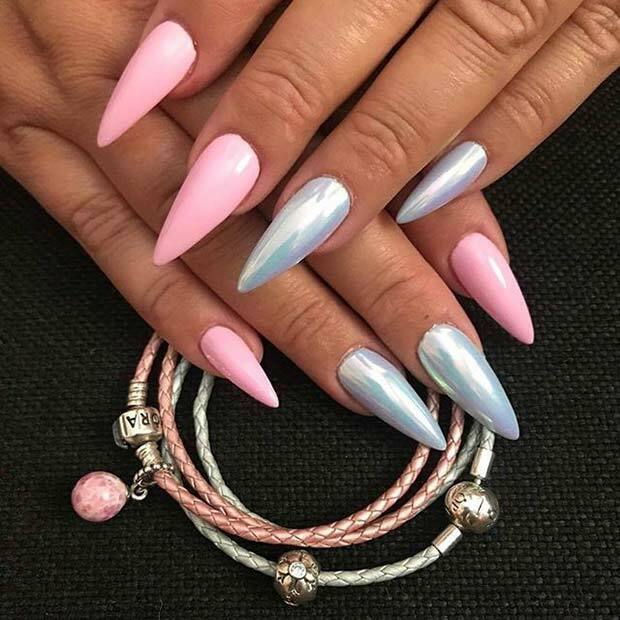 These nails feature one pink accent nail with the unicorn horn pattern, two glittery pink nails and light pink nails with rhinestones. This nail art captures the magic of the mythical creatures. There are plenty of tutorials available online of how to get the 3D horn. 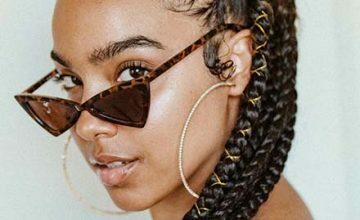 So, you can recreate this look and many more. Our next pick is bold and trendy. 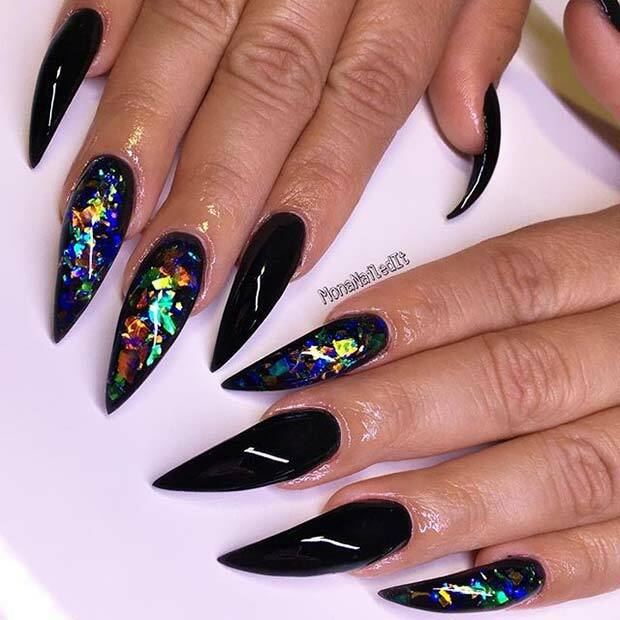 These pointy nails feature a striking black polish with colorful accent nails. This is a funky look that could be recreated in any color palette. Something like this is fun but chic and will suit everyone. Take this picture as inspiration to your next salon appointment or try it yourself at home. Blue is a trendy color that suits everyone and looks stylish in every shade. If you like blue our next pick could be for you. 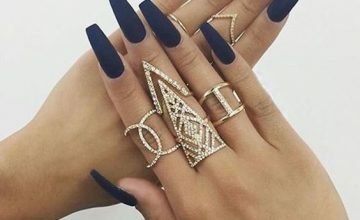 These vibrant blue nails will brighten up your look for any occasion. 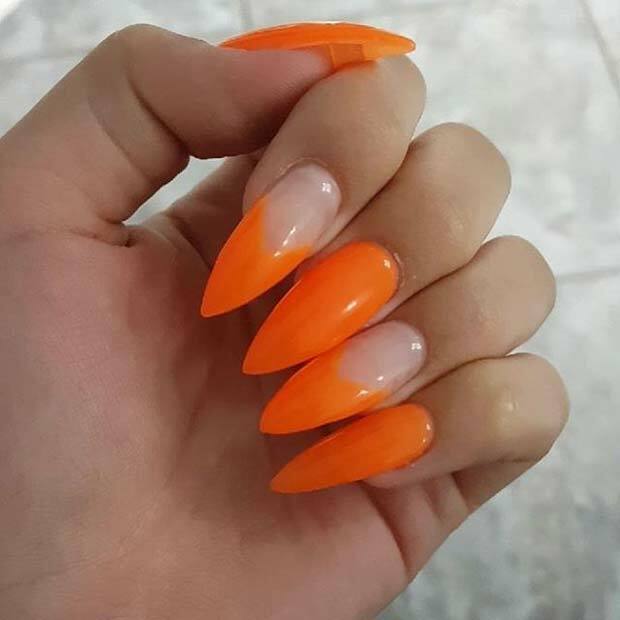 Nail art like this is perfect for the summer. 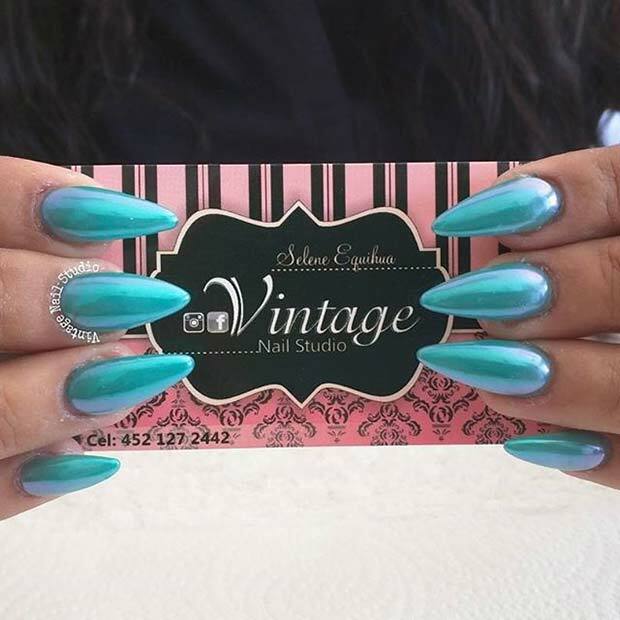 You could recreate nails like this in any blue tone. Pink is a pretty color that is a popular choice in nail art. One of the great things about pink is that goes with almost any color. 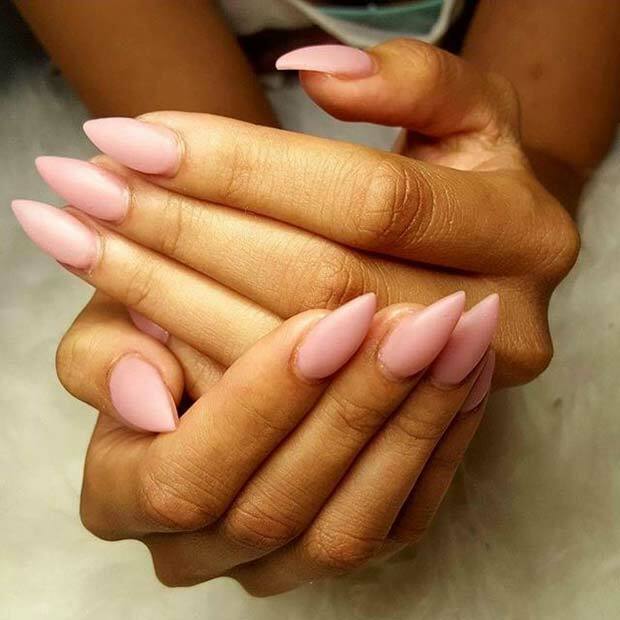 These pink pointy nails have been paired with light silver accent nails. The silver and pink complement each other perfectly. Darker pink shades would work too, so try a few a different shade to create a new look. 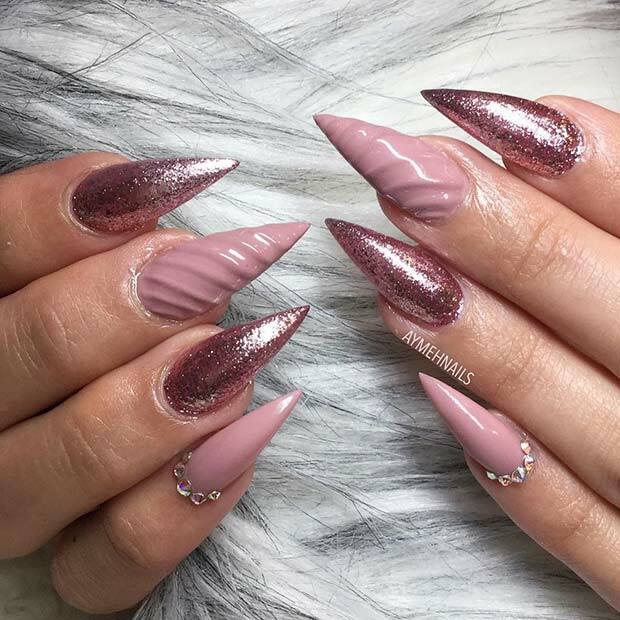 Here is another stunning pink pointy nail design. This one features stunning crystal art. This glitzy and glam nail art is perfect for anyone looking for nails for a special occasion. Maybe a party or even a wedding. It also has a great choice for the ladies who just want to glam up their look. You could recreate this in a darker shade too. Grey is a chic shade that will suit every nail length and shape. 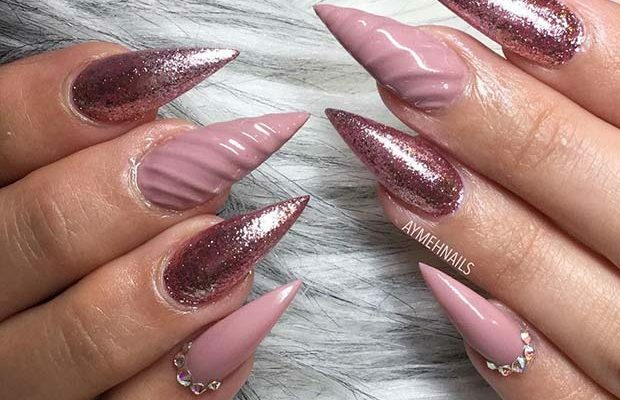 This nail art features two shades of grey on long pointy nails. 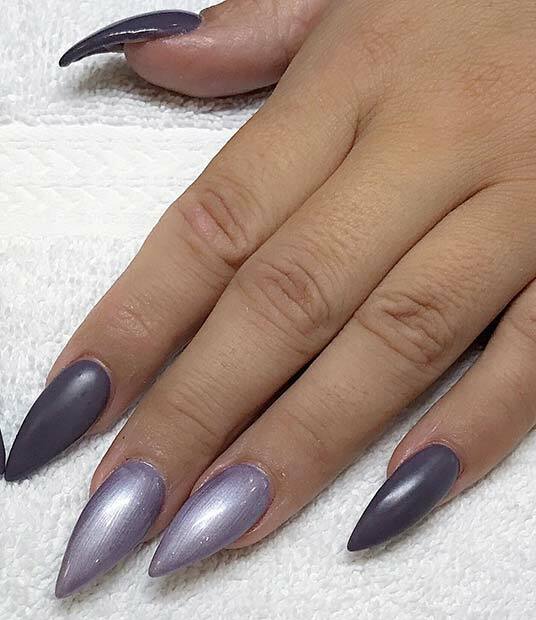 The use of grey makes the shape of the nails stand out and gives the overall look a trendy finish. You could recreate something like this or use different shades to create a unique look. Next on our list is this stunning rose art. Rose art is a great technique to master for nail art as it can be used in many ways. This art features a neutral base polish with white roses on top. The color combination is very chic and stylish. 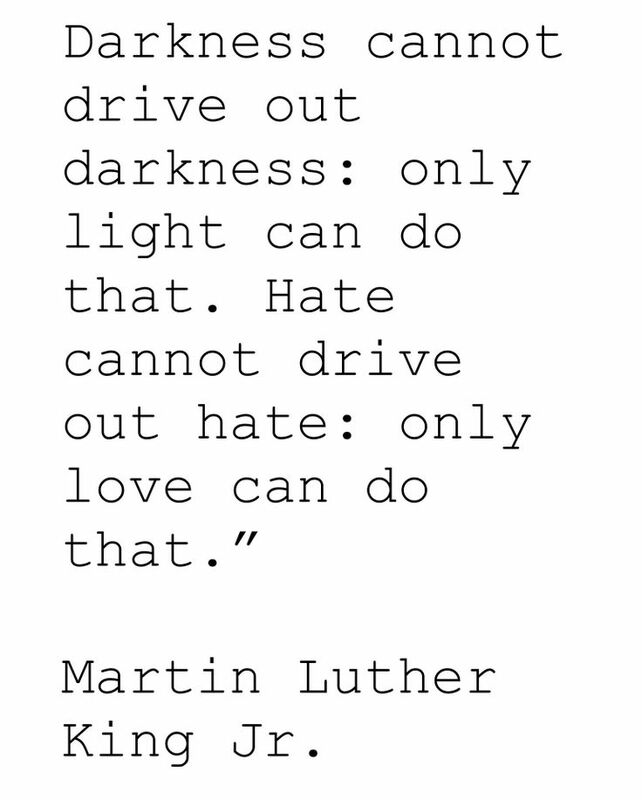 You could recreate this with stencils or stickers available online.